It’s very difficult to run a successful business these days. You have a lot of responsibilities, while clients are picky and put you under pressure 24/7. In such circumstances, you can’t handle everything alone and need to find external help to give you a hand with all those projects waiting on the side. Fortunately, outsourcing became a natural way of managing work overload. 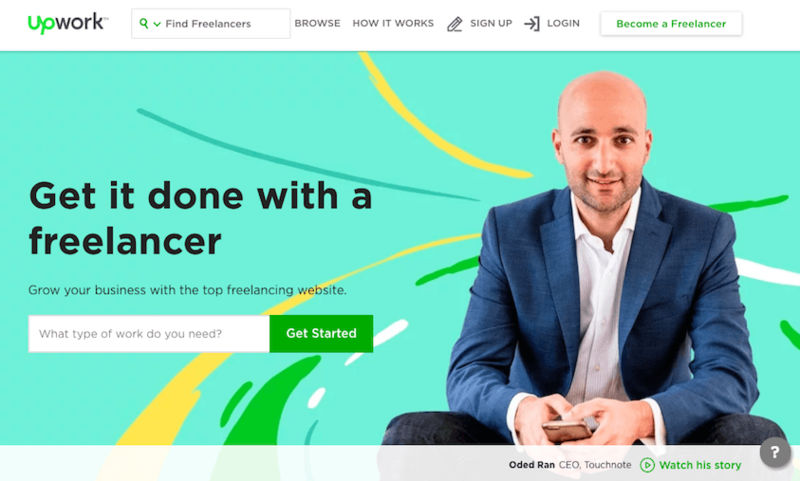 According to a 2016 study by Upwork, there are more than 55 million freelancers in the U.S. alone, which is more than a third of the country’s entire workforce. Although it may seem easy to find an appropriate candidate for the outsource job among all these freelancers out there, this is actually a big problem for the vast majority of entrepreneurs. If you want to avoid this issue, here are a set of suggestions which can help you as an employer to analyze potential candidates. In this article, we will show you seven tips on how to find an ideal fit for the outsource job. We are aware of the fact that business is a dynamic process that puts you into all sorts of unpredicted situations but it doesn’t mean that you shouldn’t prepare well for the recruiting process. On the contrary, planning is one of the most important factors in finding the best candidate for your position. According to HR executives at RushMyEssay service, there are dozens of relevant indicators to consider prior to announcing an open remote position. However, we want to make things easier for you and cut the long story short, so we will explain only the most important factors here. First of all, you have to choose a person who can fit into the new role smoothly and in a timely manner. It means that you probably don’t want to hire a professional who doesn’t really speak perfect English as it could turn out to be a huge burden in the work process. Of course, you should keep in mind that some of the most productive freelancers can be found abroad but stick to the ones whose language goes beyond simple introductory speech. Besides that, stay aware of any cultural differences if these could jeopardize mutual cooperation. Secondly, be careful with time zones if you don’t want to interrupt communication with the new employee every once in awhile. If your business depends on quick responses and prompt reactions, then you should stick to the people within your time range. Thirdly, think about the budget and don’t allow yourself to pay more than you will earn. You are in control of all details and you should keep in mind that freelancers from North America probably cost more than their counterparts from India. Put it in your project’s value chain and stick to the plan as you move on. Fourthly, you can consider the issue of copyright formalities and prepare to demand the ownership over freelancer’s work. This is especially important if you don’t want to share any information about the company project. With the global rise of freelancing, many outsourcing platforms started growing rapidly. Today, we have hundreds of reliable online freelancing networks that you can utilize to find an ideal candidate. A recent research showed that IT and programming (41%), design and multimedia (24%), and writing (18%) account for the biggest portion of remote jobs awarded online. But these figures are changing as companies in all branches are turning to outsourcing more than ever before. Before you begin picking the right platform, you should check out their terms and conditions of service. Some of those platforms are protecting freelancers, some are more client-prone, while the third type is somewhere in between. For this reason, it is necessary to understand how they operate – if you follow their rules, you won’t ever have a technical problem with your employees. Upwork is the biggest remote work platform which serves more than 10 million clients and employees all around the globe. It allows freelancers to register simply and quickly, whereas Upwork clients have the opportunity to analyze each candidate thoroughly. If you are a good employer, everybody gets to see it in your hiring history. This is great because all of the finest candidates will want to work for you as soon as you build the reputation of a credible and confident client. But the best thing about Upwork is that it allows you to see all user profiles and their history of projects. Each freelancer receives a review once the task is completed and you will figure out their success rates as soon as you open their profiles. Since Upwork is by far the biggest hiring network and our personal favorite, we will use its practices as an example in the remaining of the post. You can also check out our comprehensive Upwork review if you want to get to know the platform more. LinkedIn Profinder is a rising star in the freelance universe. Some people would disagree but we think that it’s extremely useful because it sources potential candidates from its basic network, LinkedIn. As you probably know already, LinkedIn gathers more than 420 million professionals, all of whom already possess some useful skills. That’s what makes them more reliable on most occasions, so you can relax a little when it comes to high-level projects and the corresponding positions. Bearing in mind the synergy of LinkedIn and its Profinder, we believe that this could become one of the most authoritative remote work platforms soon. As an employer, you won’t always need a well-experienced professional with a strong academic background. On the contrary, sometimes a few fresh beginners will serve the purpose just fine. 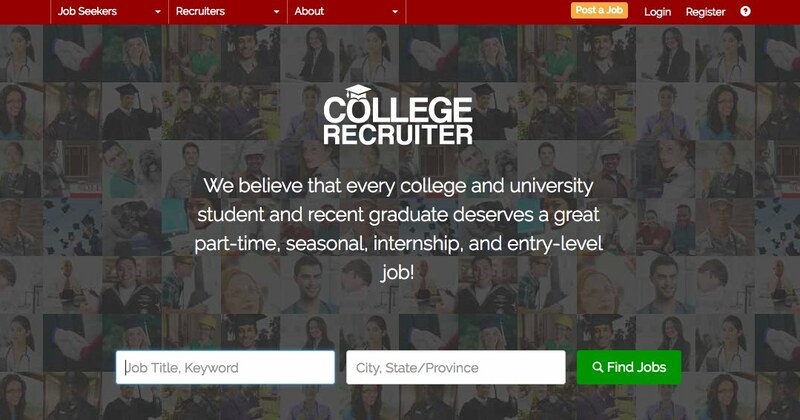 College Recruiter enables you to find young but talented candidates who are ready to work hard for a minimum wage in order to gain the first professional experience. If you need top level writers for your blog, a book or social media content, or anything else for that matter – Scripted is the place for you. Website owners like to say that they provide clients with 2% of the most proficient authors online. They can promise you the highest quality but you will also have to pay for it accordingly. 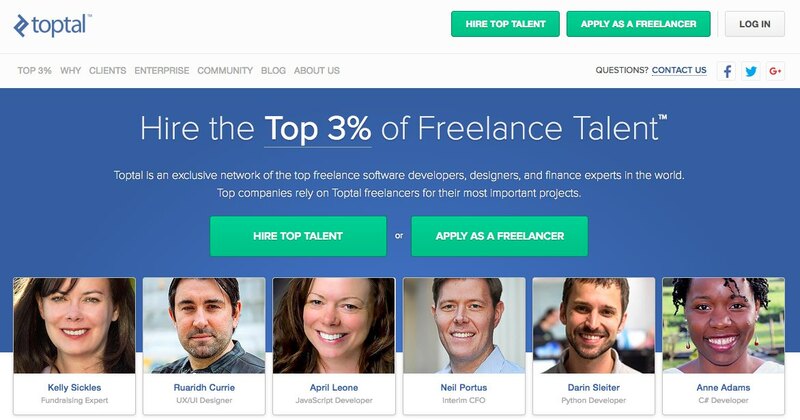 Toptal is another platform which gathers thousands of skilled workers. What is different here is that Toptal focuses primarily on web designers, app developers, financial experts, and consultants. It’s not easy to get on their list of freelancers but the ones who do will get the job done right for sure. 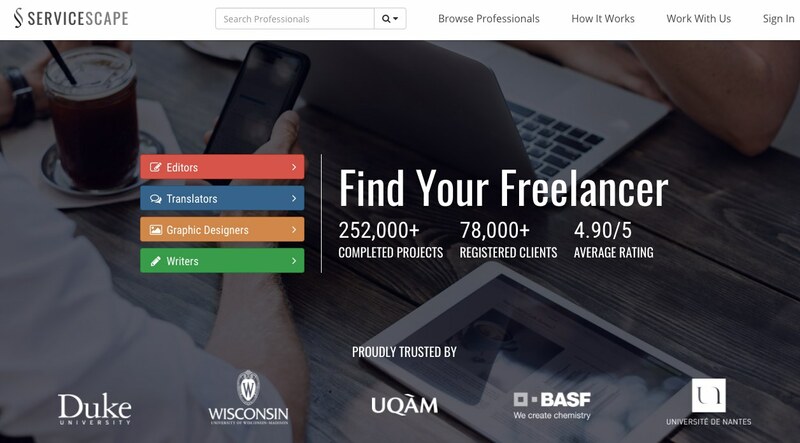 ServiceScape is a global marketplace that has been connecting individuals and organizations to top-rated freelancers who specialize in content editing, writing, translation, and graphic design services for over 17 years. Each freelancer’s profile shows his or her validated credentials, area(s) of expertise, portfolio, pricing, client ratings, and feedback from services provided to other clients. With a broad range of subject-matter and document type experts—ranging from business and personal communication to website content to business plans and presentations—ServiceScape is an invaluable resource for professionals, business owners, and students looking to make their content shine. This is the part where the real action begins for you. Namely, you have to be very clear about your demands and let potential candidates know what to expect prior to applying for your job invitation. This will not only help freelancers to understand your needs but it will also save your time while checking out all those applications. Remember that Upwork has millions of users, so you can expect to receive dozens (if not hundreds) of job inquiries. Some employers make a mistake and publish the same text for all job openings. This is something that you have to avoid. Take a little more time to come up with the description that really suits this position and you will save yourself from a lot of confusion afterward. Our advice is to divide your requirements into two different categories: personal and professional criteria. You should state precisely what sort of person would fit into this role and what do you expect of your personal interaction. On the other hand, you must reveal professional demands and explain to interested candidates the nature of your business. Give them an initial introduction to your project, allowing them to learn the basic details – it will chase away most of the wanderers and probably attract good candidates further more. To make the job announcement even simpler, we suggest you write it as if you are writing any other webpage content. This means that you should break it into smaller paragraphs, using brief and concise sentences. An average freelancer probably sees a lot of job ads each day, so you don’t want to lose good talents just because your text is too thick and difficult to read. Whenever possible, use lists or bulletins to explain each one of the required deliverables. Namely, it’s a well-known fact that people actually don’t read digital content – they scan it or skim through it to make the process faster. If you provide them with a set of clearly visible bulletins, there is no way that they could forget or not understand your demands. Analyze resumes: Each freelancer has his or her real-life resume as part of the Upwork profile. Sometimes it won’t tell you a lot but most times it will tell you more than enough to make the first impression. You should see where this person used to work before and why this freelancer decided to enter the remote work market. If there are any recommendations included, it should make a bonus point. Analyze job success score: Upwork is a very strict mediator between clients and their employees. Both sides get the chance to evaluate one another, which is perfect for you as a fresh online employer. When you open a user’s profile, you will notice the job success score in the upper right corner. It’s an objective indicator of the freelancer’s quality and it can range from 0% for the worst candidates all the way to 100% for the best ones. Analyze client comments: If a freelancer has an average score of 87%, it is still good enough to give him or her the opportunity to advance in the recruiting process. However, you should always check the comments made by their earlier clients, especially those who gave them lower evaluation marks. The problem could sometimes be minor but in some cases you might detect a major eliminating factor. Client history: Having a 100% job success score with only one project completed is not the same as having a 91% success score after cooperating with 20, 30, or more clients in the freelancing career. Keep this in mind and give an advantage to remote workers who already proved their capabilities in the targeted niche. Sample works: Each Upwork candidate should use the right to attach a few sample works as the proof of high-quality work. It’s another step towards earning a position because it enables clients to explore the style and quality of a freelancer’s work. That’s why you should make this a mandatory request in your job announcement. Those who really send you sample works can be considered serious professionals, while others can be eliminated from the process. Organize a test: The last step in this phase is testing. You should create a quick but indicative test or a quiz to make sure that the candidates you choose for future stages of the hiring process are acquainted with basic terms and activities in your industry. It’s not supposed to be an all-encompassing test but rather a brief check to eliminate even the slightest possibility that you will hire an amateur for this job. Following the analysis of all applicants and the follow-up testing, you can select a few most promising candidates. We strongly suggest you schedule a Skype call with each one of them in order to see how they communicate with you and what they think about this project. It’s a great method to notice if someone has interesting and innovative ideas, which would be a dream come true for all employers. At this stage, you can pretty much be sure that all of the remaining freelancers will do the job well. However, you need to choose one person who should fulfill even the smallest demands. In that regard, you need to discuss a few issues with your candidates. I need 20-23 blog posts a month, one each working day. Word count between 850 and 1500. I want well-researched and plagiarism-free articles, 3 to 5 references per post. This is a simple example but it reveals the mechanism behind KPIs. In case you are running a big project, you can divide tasks into smaller milestones and demand job completion periodically. For instance, you can ask for one blog post each day or 5 articles together every Friday – the decision is all up to you. Of course, candidates who are ready to follow your orders and timeframe will have a pole position in this race. Once you are done with candidate analysis, tests, and interviews, it will probably seem obvious who the best candidate really is. But it doesn’t mean that you can hire this person before discussing one of the crucial issues – financial compensations. According to the survey, almost 60% of freelancers are experiencing cash flow issues at times during the year, which means that you can push it a little bit during payment negotiations. However, don’t forget that the best freelancers usually don’t have financial difficulties, so you need to be clever. First of all, check out their Upwork profiles to determine their own price per hour of work. It’s a starting point both for you and your candidates and you can consider it a desired maximum which needs to be reduced. As always, you should see how much they used to earn working for other clients and how much money they received for one hour of work (or an entire project/milestone completed). You should aim at the average of all these earnings and consider it an acceptable minimum. However, there are many more factors to consider here. You should check when was the last time this person had a job. 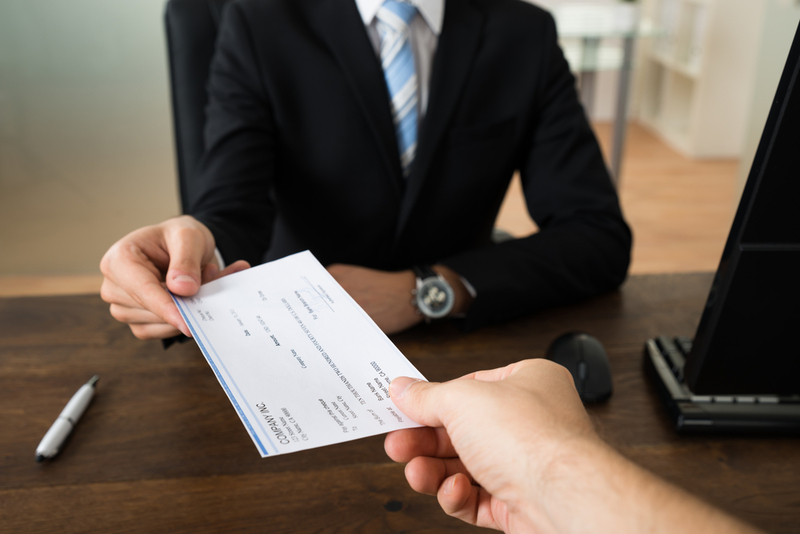 If it was a long time ago – like a few months or weeks – it probably means that the candidate would be ready to accept a lower salary just to start working again. However, the level of expertise is also very important. After all, you do want to find the cheapest professional available but don’t want to become a slave owner, so you should pay according to someone’s skills, preferably somewhat below the real market price. Speaking of the labor market, there are several sources where you should check the situation with this position. The U.S. Bureau of Labor Statistics will show you the current unemployment rate in all fields of expertise. For example, if the percentage of unemployed writers is high, chances are you’ll be able to bargain for a lower price with your candidates. And the other way around – if there are not so many writers available at the moment, you should offer some more money to the best candidate. At the same time, online tools such as Pay Scale will help you while asking yourself this question: What should I pay? It’s an immense database with relevant information about every single profession that you can perform online. It will show you how much an average writer can earn annually, which is a solid foundation for further analysis. Of course, you also need to set your own maximum, not allowing yourself to exceed the budget at your disposal. Don’t forget one more thing – in case you can offer remote workers free training to help them to understand your business easier, you should take it into account as well. Free learning is hard to find these days and you should consider it an investment which reduces salary expectations of a freelancer. With all these criteria in your mind, you have a clear vision who should be your ideal fit for the outsourcing job, so go on and make a decision. Let’s assume that you made a choice and that the freelancer you hired eventually completed the task. 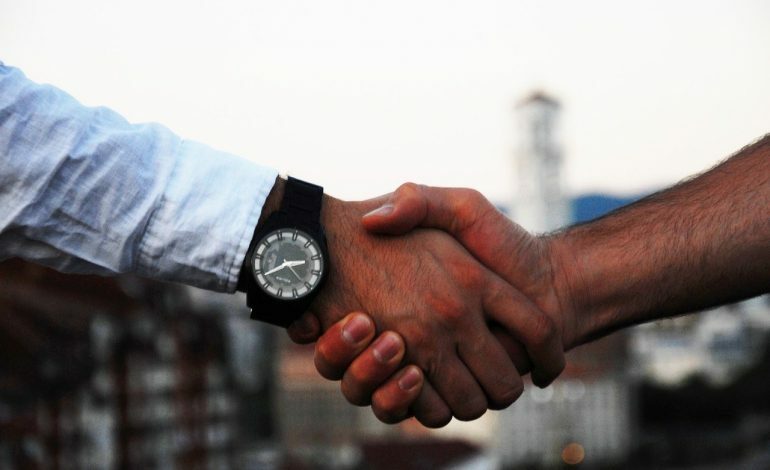 This is the final step in your cooperation but it’s also crucial for your business. Namely, now you need to check this person’s work and see if a remote employee did the right job. If not, don’t hesitate to ask for as many corrections as needed to make the best outcome. Analyze each KPI you set and there will be no room for unpleasant surprises. Once you make sure that the job is done successfully, you should take an extra step and write a comment on Upwork about your employee. Stay objective and fair while evaluating his or her work – it will help this freelancer and the Upwork community in general. Of course, you don’t need to search for the new remote assistant the next time you launch a similar project. Instead, you can invite the same freelancer again and continue your cooperation. And if it turns out to be very successful, we suggest you think about hiring this person full-time. It’s hard to find a reliable employee these days, so you might want to keep the good ones with you. Traditional work models are gradually changing as entrepreneurs started outsourcing projects to remote agencies or freelancers. It’s their way to reduce costs and find a one-time expert help whenever necessary. But finding a good remote employee is not easy and you need to know how to approach this process. In this article, we explained to you 7 steps that you should make while looking for an ideal fit for the outsource job. Using our tips, you can find the most suitable person for your position. Give our suggestions a try and feel free to tell us in comments if you have other valuable recruiting insights to share with our readers. Brandon Stanley is a professional independent journalist. 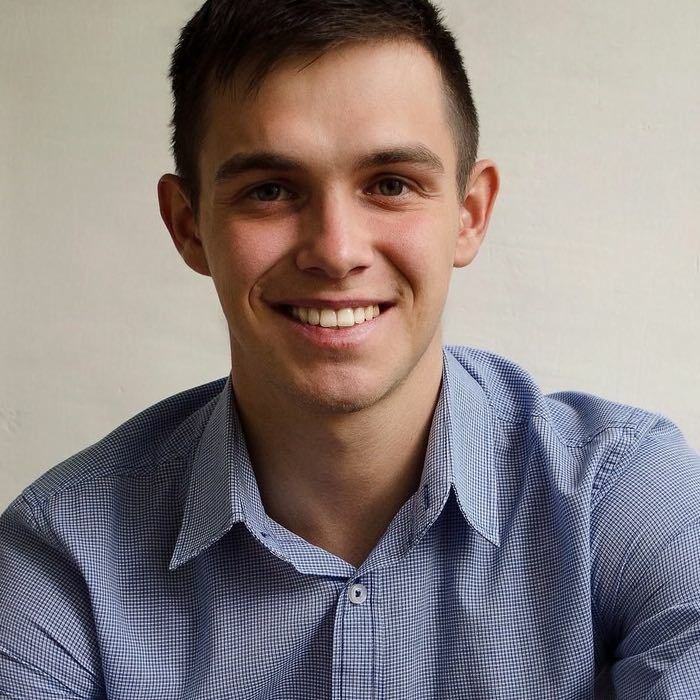 He is also interested in writing articles concerning career opportunities and HR-management. Apart from that, Brandon loves traveling and playing the piano. Follow him on Facebook and Twitter.